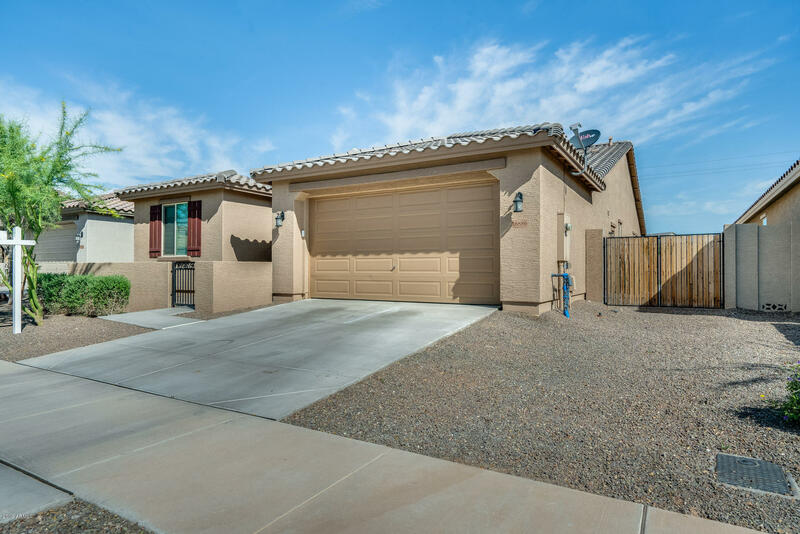 All CANYON TRAILS UNIT 3 PARC homes currently listed for sale in Goodyear as of 04/26/2019 are shown below. You can change the search criteria at any time by pressing the 'Change Search' button below. 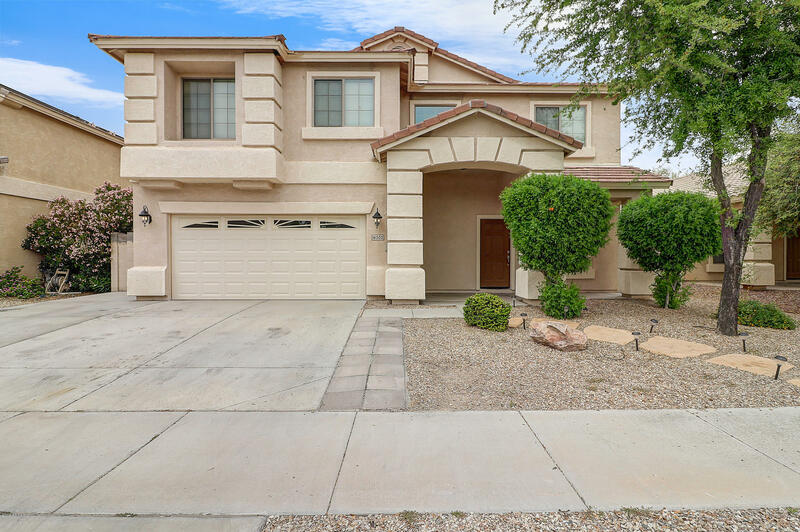 "Gorgeous 6 bedroom home available in highly desirable Goodyear, close to the I-10 and multiple shopping. Flowing floorplan is perfect for entertaining, with over 4000 sq ft, a spacious formal living room with soaring ceilings and a separate family area with tile flooring and built-in shelving. Stylish eat in kitchen boasts stainless appliances, granite countertops, an island/breakfast bar and warm, wood cabinetry & pantry. Bed and office with full bath downstairs. Huge master suite includes his"
"WONDERFUL 4 BEDROOM FAMILY HOME WITH LOFT AND 2ND FLOOR SITTING ROOM. DRAMATIC WOOD BURNING LR FIREPLACE. 11 FANS, CHERRY CABINETS AND GRANITE TOPS, STAINLESS KITCHEN APPLIANCES, FRONT LOADING SAMSUNG WASHER AND DRYER WITH PEDESTALS. MAGIC TOUCH KITCHEN FAUCET. MASTER SUITE WITH BALCONY AND EN-SUITE BATH WITH WALK-IN SHOWER, SEPARATE TUB AND WALK-IN CLOSET. BLOCK WALLED BACK YARD WITH SAFETY FENCE AROUND THE POOL WITH A WATERFALL. GRASS PLAY AREA WITH CEMENT CABANA/STORAGE BLDG. 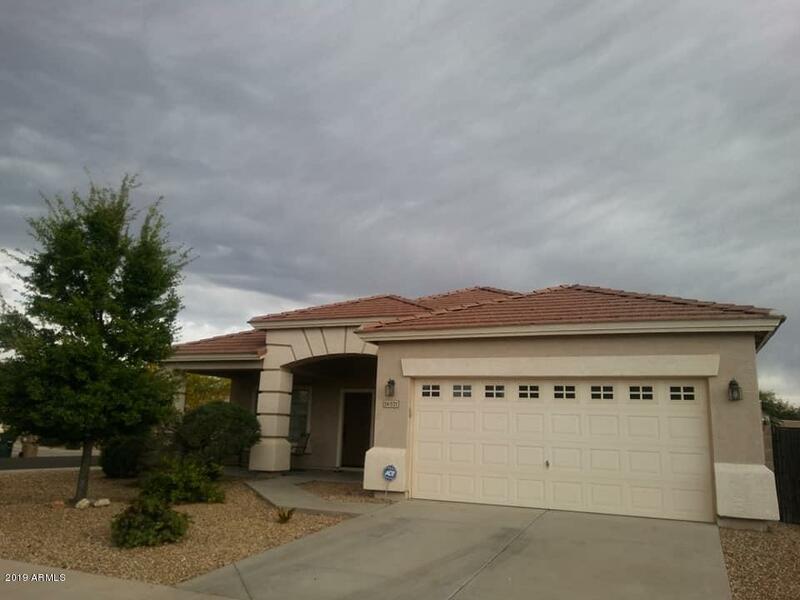 PAD COVER"
"Fantastic 4 bed, 2.5 bath home situated in a huge pie-shaped lot! Boasting formal living & dining rooms, spacious loft that easily could be converted as 5th & 6th bedrooms, vaulted ceilings, and cozy family room. Gourmet kitchen has matching appliances, center island for prep & breakfast bar, pantry, and cabinet/counter space. Lovely master bedroom offers full bath with dual sinks, step-in shower, separate tub, and walk-in closet. Property has Solar Panels providing HUGE savings! 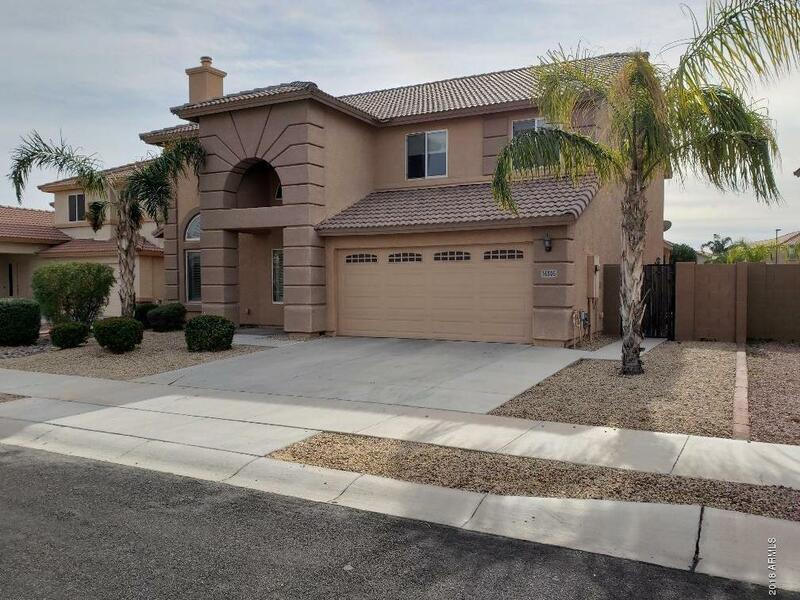 Bring your ima"
"This incredible home with NEW CARPET, has a chef kitchen with complete granite counter top, an island, gas cook top & cherry cabinets. You will love the two- story living and dinning space, which alternatively can become a game room or party central. One bedroom down for guest and 3 spacious BRs up. New paint and New stove! Hugh lot and RV gate on the side yard for storing space, trail, boat or you can turn backyard into swimming pool and play ground. Walking distance to Copper Trail Elem., Fr"
"MOVE-IN READY!!! 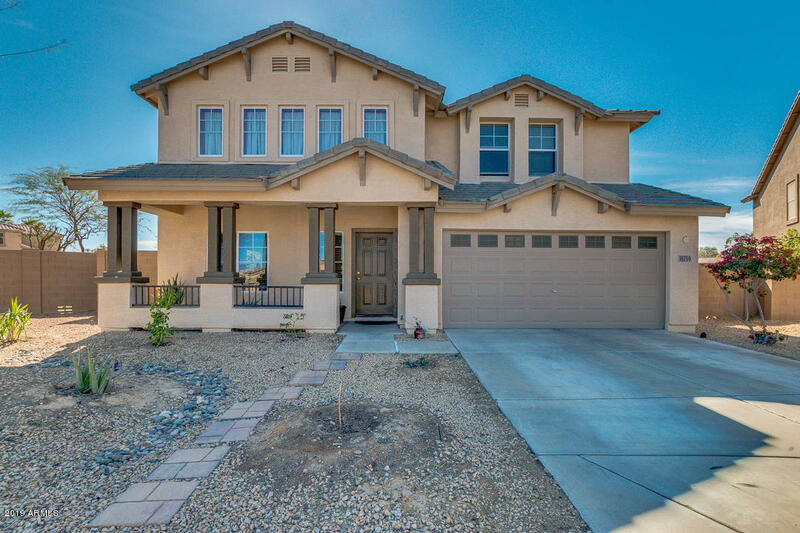 Exquisite home built in 2016 with a split floor plan and tile in all the main living areas. The gourmet kitchen features dual ovens, stainless steel appliances, and beautiful quartz countertops. The kitchen opens up into a spacious dining and living room perfect for entertaining guests. The home also has an extra room which can be used for a home office. Master bath features dual sinks, separate shower/tub, and a walk-in closet. 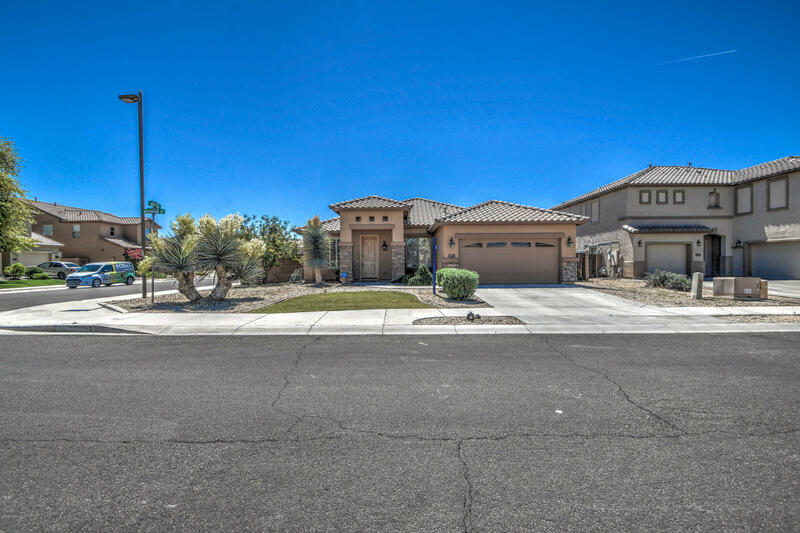 This home features a fully landscaped lot tha"
"This beautiful 4 bedroom home is model perfect! The amazing curb appeal is brought out with the stone facade and gated front entry. 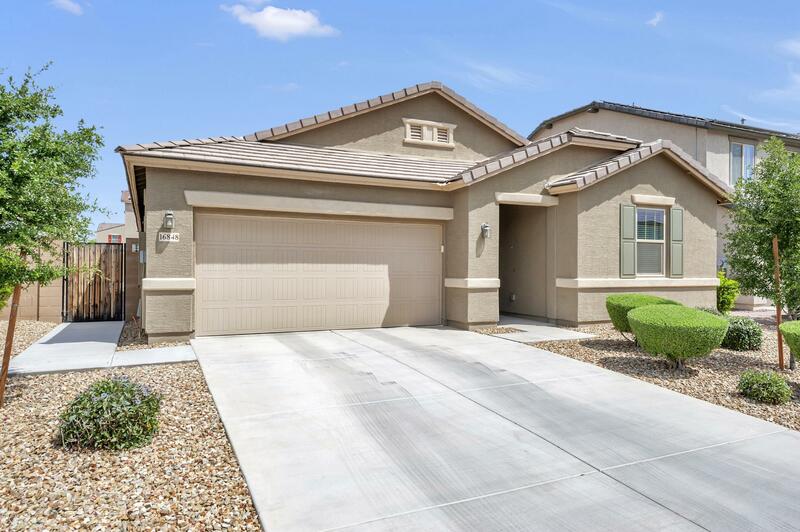 Once inside, this gorgeous home boasts a neutral color palette, tile flooring throughout with newer carpet in the bedrooms, a large guest bath with dual sinks, and an over-sized laundry room. The beautiful great room floor plan is open and bright, with a kitchen that's designed with the gourmet chef in mind! 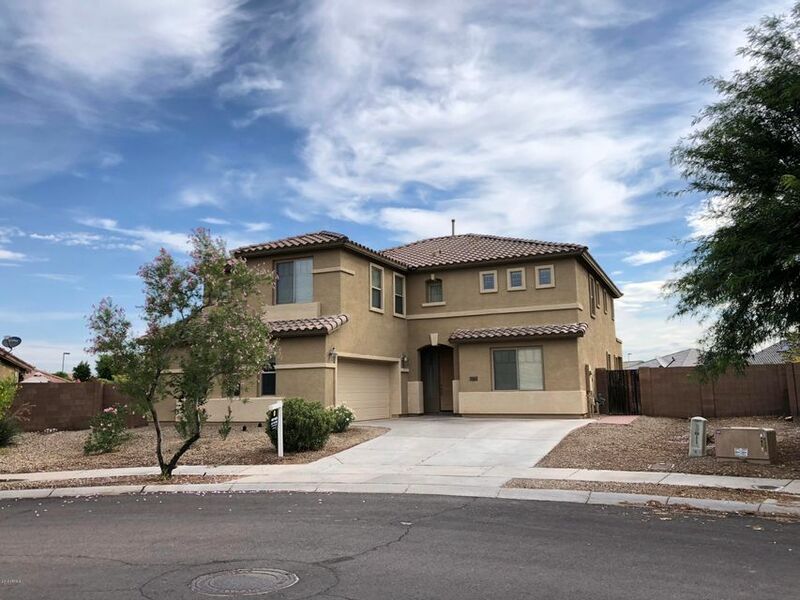 Rich espresso cabinets, beautiful granite counter-tops, ba"
"Amazing Home built 2016...This home boosts Great Room Concept with alcove for office, den or has many uses.There is a bedroom and full bath downstairs. Upstairs has Loft, 3 Bedrooms, 2 Baths, laundry room. Designer features include built-in stainless steel appliances, painted linen cabinets with 4 1/4'' crown molding and Rockside Brown granite counters. Custom 20x20 tile flooring, two-tone interior paint, 8' interior doors. Backyard is perfect for pool setup with RV gate available." "This Beautiful two story home has an amazing living and dinning space perfect for party central or play room. New updated paint and carpet through out the entire home. One bedroom down for guest and 3 BRs upstairs. You will love the chef kitchen with complete granite counter top and cherry cabinet. Fully paved spacious and less maintenance backyard. Walking distance to Copper Trail Elem. 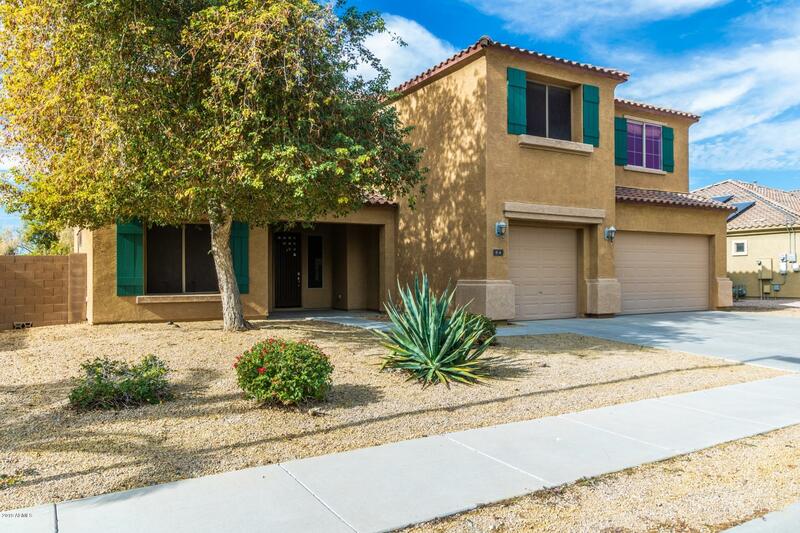 Easy access to loop 303 & I-10, shopping and entertainment!" "Grab your swimsuits and head on over to view this beautiful home!! Highly sought after 5 bedrooms and 3.5 baths!! Lot's of space in this house for everyone to enjoy some alone time **bedroom and full bath downstairs** Some features to this beauty are... diagonal tile, staggered cabinets, r/o system, water softener loop, utility sink in garage just to name a few!! Out side you will find your own private oasis with pool and waterfall and built in grill area for all your entertaining! Call for"
"This home is a show stopper! Saying it is updated and elegant throughout is an understatement. You have an entertainers dream setup with a kitchen/great room concept. The kitchen has a walk-in pantry, double ovens and a built-in electric cook-top. The island has ample room for chairs and a separate area perfect for having a more formal sit down meal. The large master bedroom gives you all the feels with an over sized walk-in closet and separate tub/shower with dual sinks in the master bath. The "
"Now this is a fantastic corner lot home you will fall in love with. The first thing you'll notice is the fantastic curb appeal of the home. Beautiful tile flooring through the main walking areas. Simply a fantastic kitchen with breakfast bar, double wall ovens, pantry, island, granite counter tops, and upgraded cabinetry. Separate living & family rooms. Back yard has covered patio and easy to maintain landscaping. Great open floor plan and an extremely well maintained property. 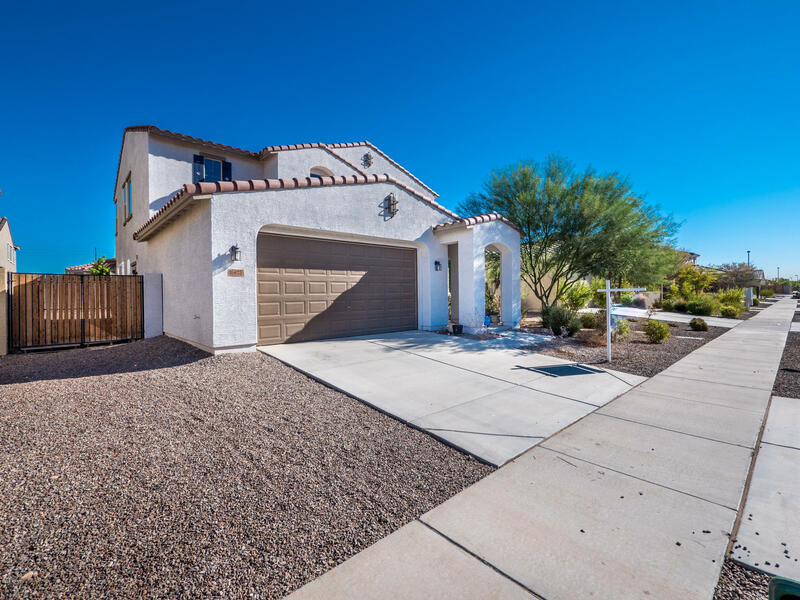 Hurry and com"
"This beauty is located on a premium corner lot and has been well taken care of - barely lived in used as 2nd home during the winter months ! 3 bedroom plus double door den - 2 full baths with 2 car garage and great curb appeal - tiled formal living and dining room upon entry - open kitchen to family/great room concept - nice sized kitchen island - pantry - eatin tiled kitchen -stainless steel appliances -master suite offers sliding glass doors - full bath includes separate tub and shower - priva"
"Come see this beautiful T.W. 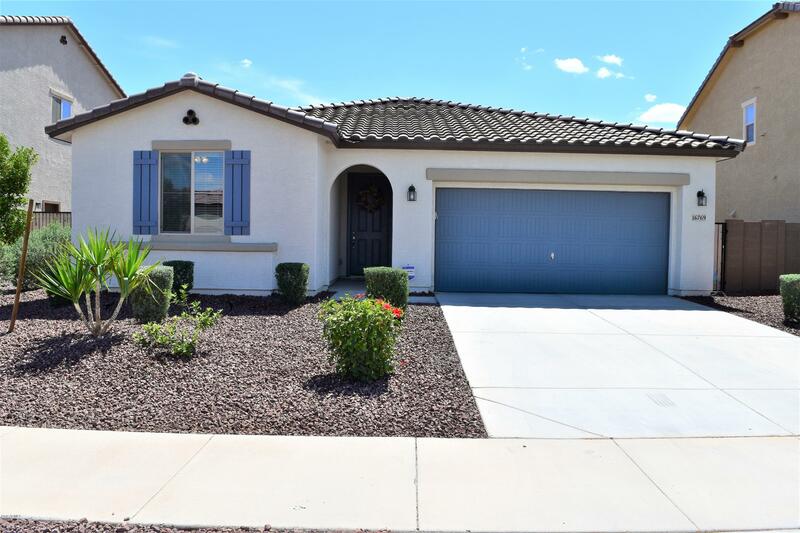 Lewis 4 bed, 2 bath home in Goodyear! Featuring low maintenance front yard, 2 car garage, and charming curb appeal. This property has everything you are looking for! 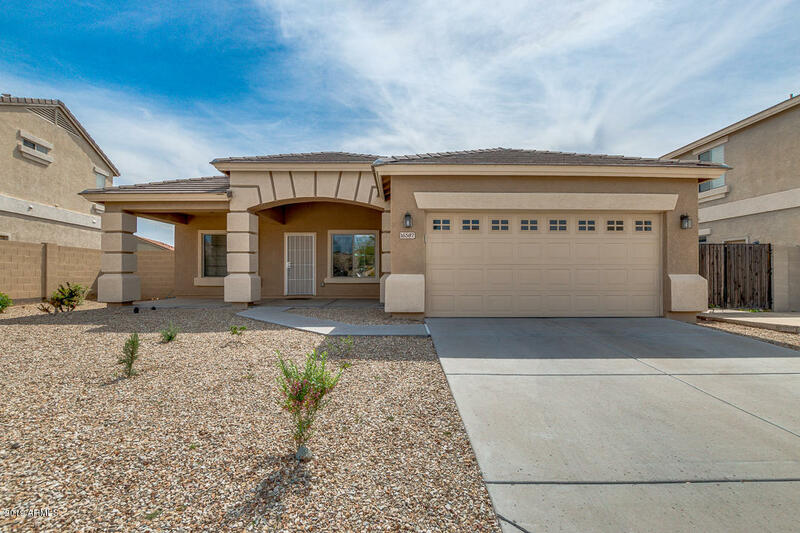 Step inside to discover neutral colors, living/dining room, and a great room style family area with an open kitchen that is equipped with stainless steel appliances and ample cabinetry. 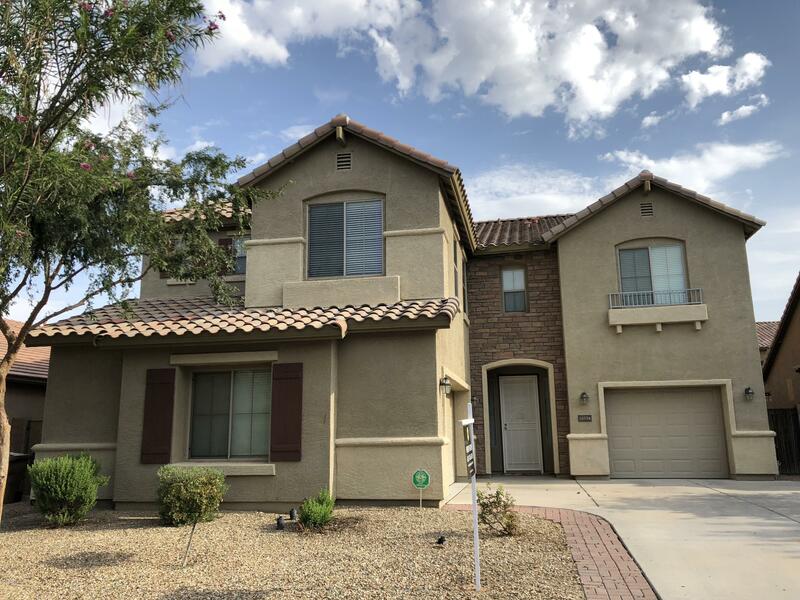 Master suite has freshly cleaned carpet, and a full bath with separate tub & shower, as well as a walk-in closet. . Nic"
"Beautiful two story home now available to one lucky buyer! Fantastic front porch ideal for relax at morning or sunset. Gorgeous interior with living & dining areas, neutral paint, tons of natural light, 4 bed, 2.5 bath, and ample loft. Wonderful kitchen equipped with breakfast bar, white appliances, pantry, and plenty of cabinet/counter space. Lovely master suite with fabulous bath and spacious walk-in closet. 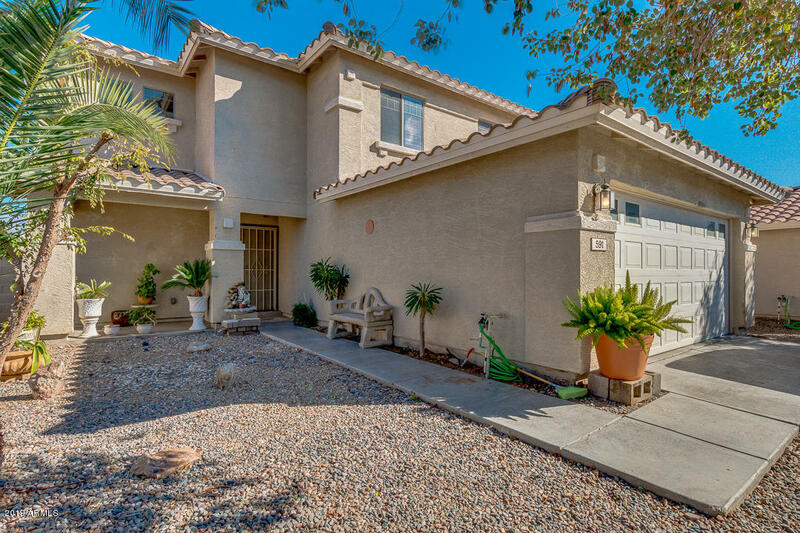 Large desert style backyard comprised of covered patio and ramada perfect for barbecue"